This is a very cool game but every time I try to buy a new wheel color, they charge me money but the wheels don’t change. So fix this bug and it’s a five star review. It was an okay game, but to get more stars make the game free. The game is boring after awhile, and there is so many in app purchases that the $1.99 to buy it is not worth it. The game really let me down. This gsm is awesome I paid only 1.99 for extra parks. The tricks are real and realistic really love this game! 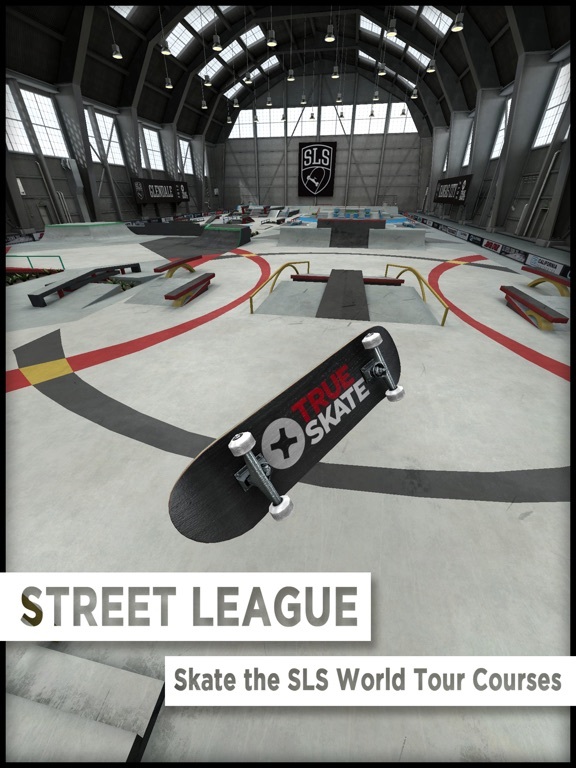 True skate is basically one of the best skate boarding games on the App Store in my opinion. I am a real life skater and hit the skate park every weekend! Anyway in this game you can do pop shove it’s hard flips Ollie’s and boardslides etc... if you want the most realistic looking skater game it’s probably this game. You can play on the go in a store and when your riding a real skateboard. I don’t want to spoil anymore so what are you doing? Go ahead and download it! I have played this game about three times a week for the past two years, and I never got bored of it. 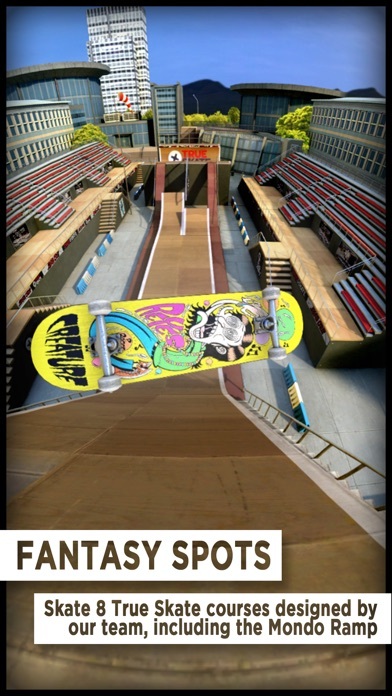 It is a great game whether you are into skateboarding or not. I love skateboarding, and I think that is why I love it so much. The only thing I would change, is I think there should be more decks and parks. But overall I think this game is a 5/5. I would definitely recommend it for anyone who loves skateboarding. I love this game it is great. The only problem but it is not really a problem but when you try to do a ghetto bird or a hardflip late backside 180 or revert it says ollie instead of ghetto bird or whatever. 10/10 game. 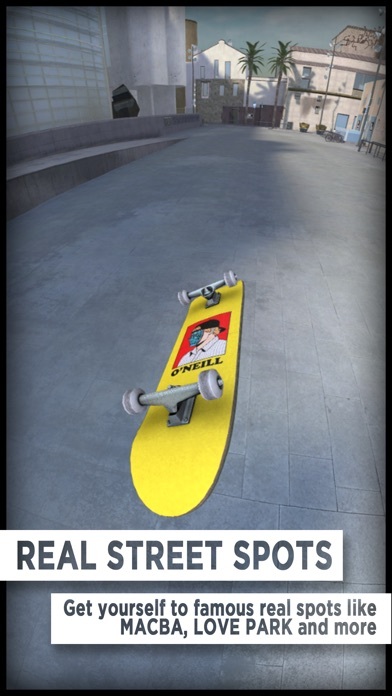 I love true skate it is a amazing game great physics and has actual real spots such as macba but the only problem I have had since 2015 is that all of my parks will not re download and this started one day when I went to play sls 2014 and none of my parks were in my parks list and so I tried to go to restore purchases and tried to re download all my parks but it gave me a notification saying “An error was encountered processing a purchase” and I’ve tried all the suggested help but nothing’s prevailed this has been going on for about 3 months now and now I have less and less of a reason to play because It gets boring to play the same park the whole time knowing you have you could play but oh wait they are unable to re download. Great game, but can we have multiplayer sessions? This game is very fun. I can play for hours and hours playing and practicing on my Ollie impossible, but there is something that I am not satisfied about. I payed for this game and it was worth it, but I wish I could unlock all the skate parks without having to pay with real currency. I look though the shop and see locked skate parks that I wish I could get without paying $3.00 or more. Overall this game is awesome and addictive! There could be some improvements but good job True Axis😃👌🏻🛹. 1. The controls on iPhone can be very wonky. In the videos on their YouTube channel, they make the game look so easy to control, but it’s very finicky and not like that at all. Sometimes when I just try to Ollie the board turns left or right for some reason and it’s really annoying. In addition, I’ll try to do pop shuvs and the board will just do a regular pop when I clearly swiped to the left or right. The mechanics can be quite poor in that regard. 2. Don’t make a game cost money and then charge for literally every other add-on in game. That is so scummy in my opinion. At least make the game free if you’re going to do micro-transactions. 3. The tutorial barely teaches you anything. If you want people to enjoy your game you should have resources for people to improve. Overall, the game is ok. I use it to pass time mostly. I feel like the devs have abandoned this game and the only updates are just more content for you to purchase. All the telltale signs of a bad developer. I would buy this again in a heartbeat!!! I purchased this to use in my spare time but I found I was constantly playing this. The price may send off some people but it is totally worth it. The damage on the board is realistic and comes gradually and it gives me a good challenge. BUY THIS ANY CHANCE YOU GET!!!!!! I love this game so much and that’s who I always play it. But it has one giant problems that makes me mad. I will save up my money (13.5 k credits) to by wheels than once I buy them and restart the app it takes my money and gets rid of the wheels. I have contacted true skate support multiple times with zero response. Not only does this make make me mad at the game but it makes me mad at the developers for not standing behind there game because I have spent like $30 on this game and some features don’t even work. Get back in game true axis!!!!!!!!!!!!!!!!!!!! I love this app but there are a few things I would like added and stuff that needs fixing. The 1 glitch I’ve come across is after you get a clip and press the share button the whole app crashes I don’t know if this happens to anyone else. But one thing that would make this app complete is a free cam feature for the camera after you get a clip. Amazing app either way. We need more PARKS like MONDO RAMP 😭. When I was playing this game, I was boss at it. I thought I was a skate board genius. Then when I tried to actually skateboard I broke my arm and that was not a stellar experience. Fun game but seriously it’s risky business. The best game on the App Store. Period. Insane freedom in the skate word, the developers really went to town on this one. Incorporating real brands and real courses into a mobile game makes the experience feel that much better. A mile long list of possible tricks, lines, and spots to hit make this game so enticing to play at any hour anywhere. The only complaint is that I lost my 37,000 true credits when I transferred to a different iPhone but besides that never had any problems or a bad time playing. Thank you for this amazing game. Every mission I try I cannot pass because I continuously do exactly what it shows me and it doesn’t work, my Ollie’s are always going off to the side so it impossible to hit a rail. Such a waste on money. Plus every cool thing you want is rediculously expensive or you actually need to pay for it. For a game with high reviews this ones terrible. Whenever you update, your custom board becomes the way it stared and you can't customized it again because they took away your credit . This game is trash recommend not buying it. Always glitches too. Amazing Game, Devolopers please read! 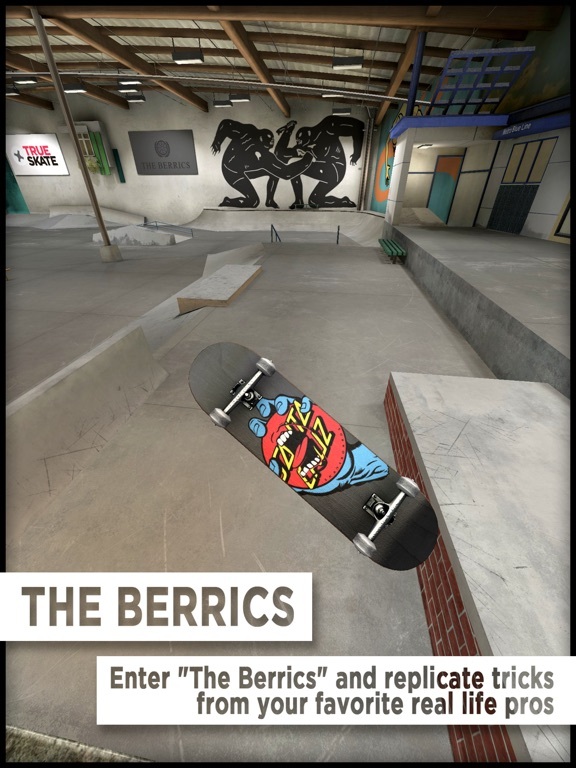 I have played this game everyday for about the past 2 years, and I have to say it is probably the best app on the app-store if your into skateboarding. I absolutely love every feature in this game, and would say the physics, graphics, and scaling couldn’t have been made better. Now what I really would like to suggest as a realistic improvement for the game is the ability to have a free moving camera for watching and recording replays, as simply watching from the basic camera angle doesn’t necessarily capture enough and I feel that it limits the games replay and recording feature. Another suggestion would be possible multiplayer, but I do realize how much work that does take and maybe it’s a bit out of the picture. With that being said, if it could be done I feel that it would add a whole new interesting element to the game that could attract many more players, and capture the current player base to possibly buy more in game purchases such as parks as they could be having fun with friends. Other than that thank you for such an awesome game! For buying the game, you’d expect to unlock things over time right? Nope, almost all of the game is stuck behind a pay wall, which I would understand for a free game, but for one I already shelled out money for? This game is such a cash grab with almost zero content unless you want to pay 20 bucks. This game is so great! I love it so much! Unless you want to have an entire game that you don’t have to pay over 10$ on just to get half of the stuff... ...but who wants that, right? I love this game so much. I play it ligit everyday even if it’s only for like 5 minutes. Though this game is great, I recently found a bug or a glitch where when you would buy a wheel color, the wheels color would disappear after you reload the game. I have gotten a color twice for the same deck and it’s happened both times. I love this game and only want the best for the players and I would like to see this fixed in the future. Thanks! Overall the game has the most realistic controls of any skate game. You don’t just press a button that leads to a trick, you manually do it (pardon the pun). The verts could be better and so could the bowls. Pumping is nearly impossible because you wind up going into a manual that just stops completely. there’s also not nearly enough grab types. Still, the tricks you can do just on the ground are realistic and the possibilities are endless. The rails gameplay and graphics are not only realistic but fun. It’s challenging enough but (for the most part) not too challenging. The major cause for concern in this game is pricing. For a game that already costs money, it seems ridiculous that unless you pay, it is impossible to get another map. even then, the maps can get pricy. if they brought prices down or got rid of in app purchases, the game would be terrific and played much more. hopefully this change comes soon. This game is the BEST I play it with my friends on the way to school, I play it at home. SO fun. I’ve had this game for a while and when I first had it, I was addicted. I loved it so much that I showed it to all of my friends. I bought at least ten or eleven new skate parks and loved them all. But one day I opened the app and there was an error or some bullsh*t and I lost all of my progress and all of my skateparks. I couldn’t get a refund so I lost like 10 dollars on this game and I want my refund!!!!! Everything is great with the game, work perfectly. But i have an issue with the sound of the game, i cant hear anything. Fun game. Only complaint is after last update, my board always stays in new condition. I used to like playing and thrashing up my board as much as i could thrash it. Now it doesn't even get a single scratch. Please fix the issue with the manuals on mobile phones, its almost impossible to perform ollies to manuals on obstacles. Manuals on mobile are trash compared to on big screens, also please add the two fingers skate function on mobile. Trucks- The blank trucks are getting pretty boring. If you guys could, please add various trucks in game ranging from Thunders to Tensors. Prices- The price range for the parts are on fleek. I think it would be better to keep the deck prices as is, but the grip prices should be 25 to 50 percent lower than the decks. 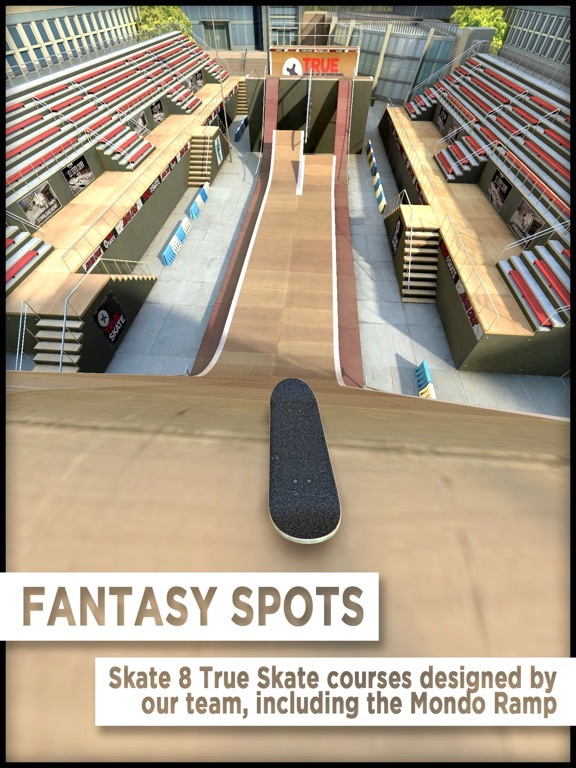 ranging from 10k-15k Audio- The audio effects on ledges and rails are sketchy, the sound of the board or trucks hitting a metal rail and a cemented ledge are different, i think it would be best if you guys update the audio effect to add realism:) other than that its a great game! This is a very good game i think you should add some more free boards so people could have some cool decks like me because its not fair to others that some people can have free boards but some people can’t so just saying other than that its a really good game! It gets boring to quick,I shouldn’t have to pay 99 cents to rub my fingers on a virtual skatepark🤣I demand a free park. FIX THE MANUAL CONTROLS FOR IPHONE!!!!!!!!!!! Buy SKATER instead it’s way better. You can even do half the tricks when you start off the game. The mechanics are awful and honestly want my wasted 2 dollars back. I coulda bought a McChicken with that money. Ive skated since i was 10 and im 24 now. As a skateboarder i give this game a 10/10. Ive literally played this game for multiple years. Id say ever since it came out. I love it. I have a suggestion. Ive gotten so good now that i can land multiple tricks. Do nice looking 360 flips and everything. Why not create online servers where a handful of players can all skate in the same map for a few minutes as if to simulate a real competition. 1st place can win credits or something. 2nd wins less credits, etc. OR even players could play s.k.a.t.e. Together. it would be an amazing thing. Id play it every single day. I already play this every day more than once. A couple issues with the newest update. This is my favorite game. I’ve been playing it every free moment since it came out. I have an issue, I can’t access the “Me” tab or hit the icon to access the menu on the top left of the screen. Please fix this, I’m stuck with the big board and I wanna switch decks. This game is great exept they are practically begging for money. They charge $2 for they game then at least $1 for each new skatepark...why cant we do challenges to earn it? I’ve had this game for roughly three years now and I have never once gotten bored of the amazing mechanics of this games. When I got on here and saw a 3.8 star review I was upset with how someone could possibly find a problem with this game. Great game I’m wondering if you can use a controller for it. This game is trash period. The only way to have fun is to spend all your money on stupid in app purchase and you don’t even get that much credits for your tricks. I only have 84 tc and I have been playing for an hour and just a grip cost 2000 which is crazy. Over all just buy another game that cost 1.99 it’s probably better unless you have 100 dollars just lying around that you can spend on this game. It’s fine at first but it’s annoyingly difficult because the stupid board goes opposite of where you want to go. Don’t get it if you’re easily irritated or mad. I love this game! It takes me off of my anxiety and lets me relax and have fun. I think you should add something that would be very cool. You should add this so it gives you more score out of tricks. So basically if you have a smooth ride like into a jump it should add a multiplier to your total score or something like that. I think that would be very cool and duable! I bought a lot of maps and now they disappeared and I’m not allowed to play them, waste of money!! It’s a pretty good game to pass time while you’re bored, and it’s fun to try to complete all the missions. The starting map got old though so I bought the Mondo Ramp. It’s okay but I wish it wouldn’t make respawn when you do a trick from high up. I land on all four wheels but still makes me respawn. A little disappointed. First of all this game is absolutely amazing and got me hooked right away. The game just sets you down with a quick tutorial giving you a general sense on how to play the game and then lets you roam the park freely. This game is definitely worth the money and I have even bought some of the IAP to tell the truth. The purchases in the game are well balanced with most new parks being only $0.99 a piece. The boards are also well priced with packs of 4-7 boards being only $1 and same with the grip tape. The skate parks are really well done and polished. I personally don’t care much for the SLS parks because I’m more of an open park type player. If you are going to spend the money, definitely get a park or two first so you can have another area to explore and not just something for aesthetics. Personally I recommend for a more open experience to buy “the valley” and “inbound” as the parks you purchase. Valley having nice open spaces and inbound being huge with even a vert ramp included. Now to the small things that aren’t the best in the game. The boards and grip tape are a little pricy if bought with in game currency ( no IAP ) The controls could be optimized for more consistency. The trick list is in my opinion not done right. You pay $1 for a huge list of tricks with the tricks you haven’t done being darkened showing you haven’t done them. What I would really have liked to have seen is a guide for each trick on how to do them. If you play $1 you should be able to see how to do the hundreds of tricks you haven’t done. However with all of that said this game is a real legend of the App Store that is a must if you are going to spend any kind of money on the App Store. Every time I click to share my replay the game freezes on me. I’ve had the game for over a year or so and maybe no longer than the last month I’ve been having this problem. The game freezes and I have to close the app to do anything from there. The gameplay for me is glitchy and hit-or-miss. I try to control my ollie height by swiping at different lengths but it refuses to respond correctly. Also, there are times I’ve grinded and it wasn’t counted, and times I’ve gotten stuck on the grind rail and it takes away the points I got for grinding. This isn’t important, but flipping over is also kind of difficult because I try again to swipe just enough to get my board upright but I end up doing multiple barrel rolls. Lastly, the shop seems to be a little more expensive than I’d think it should be. Instead of a couple hundred TC or even a thousand, you need 2k just for red-colored wheels. All in all, this is a very fun game if you don’t try too hard to do anything specific, like other skate games. I like just going around the map I have and doing a couple random tricks. I’ve purchased all the parks, I’ve purchased skateboard customization. At one point I could ride all of my parks and I could change my board at will. Now I cannot access my parks and when I try to customize my board it doesn’t work. I’m also left with only being able to edit (not that it works) the grip tape, despite purchasing unlimited deck changes for 4.99. I also cannot switch between old school and new boards, when it says selected on my old school, it will not actually change and I’m stuck on my regular board. This app is very broken and has been for around a year now for me, longer for others. Honestly I would look for another skating sim if I were considering purchasing this app. For a long time hitting restore purchase would simply crash the game, now they “download” however when I try to access them each and every one says file corrupted. Deleting and redownloading has not fixed this. 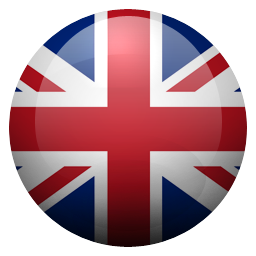 DONT BUY ANYTHING IN THIS APP. It’s a rip off, they’ll scam you out of your money and you’ll be left just as disappointed as I am. 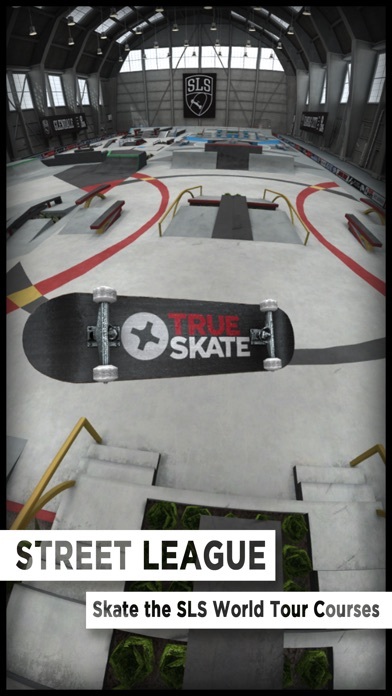 True Skate is an addictive game. I have played it for so long, I’ve purchased multiple parks, and I have always enjoyed it. I never run into problems with it, other than two. 1. Every so often, my board won’t react to my finger. I will swipe to flip it, and the board won’t move. It is very rare, but not rare enough to not mention it. 2. Also every so often, and also depending on the park, it usually happens on Inbound, I will grind on a ledge, and when the ledge comes to a bend, my board will just stop like it’s hitting a wall. The most important thing to take from this is: it’s a fantastic game, no ads! !, and it runs really smoothly. I am rating 5 stars because I genuinely love this game and the two problems aren’t enough to lower my opinion on it. Played this game every day for a year, but with the latest update it doesn’t run smooth anymore. Choppy with low frame rate, practically unplayable. I never pay for in-app extras, but I loved this game enough to buy more levels. Shame I can’t enjoy them anymore, but if that’s a risk you’re willing to take, the base game comes w only one level, but it’s a great park. You can enjoy it for a long time before getting more parks. Most of the parks I got were (I think) $1 each, but each one felt like a whole expansion to the game. Totally worth it for me, and was lots of fun, but I’m leaving a low review because it doesn’t work anymore: not in a playable or fun way! I hope this gets fixed for iPhone SE soon, and if/when it does, I will give this app 5 stars. I’ve had this game since it started out free. The updates were making it better and better but there came a point I think around early to mid 2016 that they started ruining it. Don’t count on the new updates. It’s like they fix one thing and break five other things with it. Remove the grab tricks (it keeps catching the board with a hand when I don’t want it to), fix the courses (half of em you cant grind or slide on because the board just falls off of anything), and do something with the buttons on top of the screen so my notifications panel doesn’t keep trying to slide down. And also, half the time the board doesn’t flip or anything. If these could get fixed, this would be the perfect game. But no, the developers probably won’t read this, try to update it and “fix any bugs”, and make it more unplayable. Great Game, Few Issues Though! Overall, this is a fantastic game! But I do have one issue. The camera view button seems to not appear when using the latest version of the app. I'm currently using an iPad 2 version 9.3.5. If you could fix this in the upcoming updates, It would be greatly appreciated! Other than that, like I said, this is a fantastic game. Edit: After playing with the new UI, I've been experiencing lagspikes here and there! It is such a nuisance! Please fix this as it is really annoying for not only me, but for others as well. The UI update is the reason as to why I installed a jailbroken broken to downgrade the True Skate app to previous versions. This is without a doubt my favorite game on iPhone. I have played it almost every day for the last four years. I have bought many levels and enjoyed them all. However, one of the latest updates has caused the game to try to force me into a tutorial every time I launch the app, then it asks me to login, then it makes me read some kind of news feed, and then finally I'm allowed to actually skate. This happens *every time* I start the app. I do not need tutorials (see comment above about playing for years), I have no desire to login, and I do not want to see this news feed. I just want to skate. That being said, I have great respect and admiration for the team for creating this great game. I’ve been playing this game since it came out, and I’ve always bought just about everything you could buy, not only because I wanted it, but to support those who created and constantly tweak this game to be what it is. This new interface honestly surpasses my expectations. Usually, when a game tried to completely overhaul their UI, it crashes and burns, but this UI has made the game so much more professional and complete feeling. Even though the old interface was good, this system erases any possibility of confusion and makes the game that much smoother and polished. Big, big thanks for this update!! This game is so detailed and you the developers have put so much effort into this! 👍 This is my favorite game of all time! And the people who think this game is money hungry it’s because it’s so detailed and overall such a great experience! Thank you for making this game...although I only have one suggestion could you maybe make so we can earn true credits more faster. It takes too much time to earn true credits... maybe if you score 5,000 points you could earn 70-80 true credits, if this game feature would be added it would be awesome! Overall this game is the best game I have ever played! I love true skate! One of my favorite games!! This is my first review that I have done on an app and I just wanted to say that this game is awesome!! I’ve had this game for like 4 years now. It’s realistic, challenging, and always keeps skateboarding on my mind. However, I’m sad to see the once free app that I purchased almost all the skate parks for, erase all of my purchase history. So I tried downloading it again and even paid for the app this time even though it was free when I downloaded it. Still none of the parks that I bought are showing up on restore my purchase history. Im using the same account so that wasn’t cool. I hope this gets fixed soon thanks! This game is great. I played this game so much for a long period of time and like lots of other apps it doesn’t get old. You can always switch between parks, try new tricks, try to beat your high score or grind for a new addition to your board. This game is great and if you’re will to spend a few bucks in game you can open up whole new worlds. The amount of gaps to jump and tricks to pull are huge and you can always discover new ones until you’re the trick master and can pull crazy tricks at any time and rack up tons of points. Overall great game. 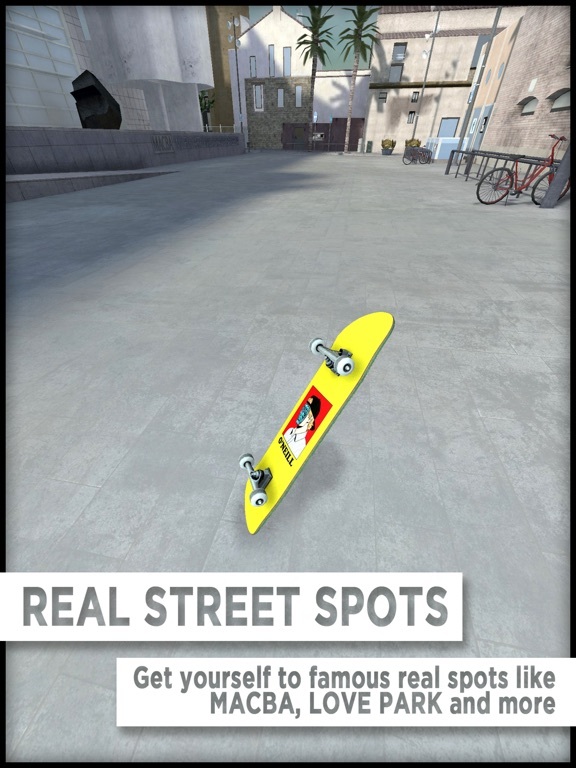 If you buy this game for 2.99 you get 1 small map and a skate board that takes months to earn enough TC (truecredits) to customize and there is a total of 60+ maps maybe more and they all cost money. I fell it's a little greedy knowing that we paid for this app to be having fun for 2 minutes and then have it force you to pay for each individual map that is probably as small as the map you have. Fun game, but I feel like this is just a cash grab with the amount of money this costs. Would've easily made it to the top 10 paid games if each individual map didn't cost money ;( please just be happy that you are at least getting many buyers and not to just give them more payments for buying your game please. When ever I’m not skating, I’m virtually skating! This game is by far the best. Better than SKATER which I ultimately regret buying. I like how it’s not easy to lock onto things or do tricks. Repetition and practice is what it takes. I can easily lock into smiths, feebles, 5050s, crooks, and many more. As well as flipping tre, lazer, hardflip, nightmare, 360 inward heel. I already have the feel for the tricks. I earn tc really fast too. Some challenges are pretty impossible tho. Like Lip Grind in the first map, it’s impossible to keep the grind going all around the bowl. Please developers why. Anyways 10/10 game. Ur all just scrubs at it. I recently redownloaded this game after a two year hiatus, and the updates since I’ve had it are amazing. The physics of the game are incredible, especially in realistic mode; and anyone who’s worried this is a cash grab, it is anything but. The parks are worth every penny and I’ve already spent $15 myself. There was a couple issues after an update, but they righted themselves besides my missing board customizations. Customizing my board though is not what has me playing this game everyday, so not that big an issue. Very impressed. Horrible game. Fine in its first few aspects of the game. After a few good minutes you end up not having as much fun I tried clouding to my original account ( IPad account ), to which it responded it didn’t exist. The game even lets you see what email address you used and the password is included. I input them correctly, to have it say, again, it didn't exist. I had multiple different skateparks which I paid my for with my own money. Surprise, surprise, the next update my account for some reason switched to the account I used on my phone. I couldn’t switch back to my original account. I’m so glad I didn’t spend the extra money they charge for the initial game itself currently, as I got it when it was free. Do not get this atrocious excuse for a game. 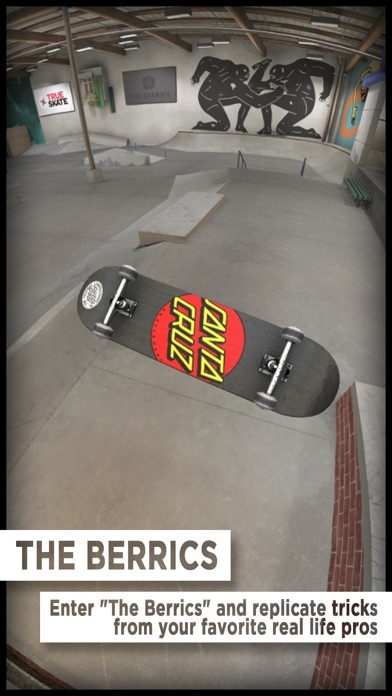 I recently bought a custom grip tape in the game and during the new update this week is was gone if u need proof I have a picture of it. I lost 10,000 true credits and haven’t gotten them back. I am very disappointed with the new update and hope to get my true credits back or my grip tape back. Otherwise this game is a great game and I love playing with friends the only thing right now to make it cooler is to add a multiplayer game where u can just play with your friends also maybe in the future you guys can add a custom skatepark and you have to add ramps and rail for true credits. I love playing the game and hope all this stuff happens in the future. Im highly critical of everything in the app store, so its rare I give a good review, but True Skate has really earned it. The game is free to play continuously with all mechanics physics the best ive experienced. In-app purchases are not forced, like in the billion other crappy games on iOS. I never spend money on these things unless its to buy a full game, but since i had 99cents left I bought a new park and gave it a whirl. (The Valley) wow. Hats off to the team. Im really enjoying this. Its also great for giving you something easy to just open and play whenever you like if you suffer from anxiety like myself. I used to love this game but unfortunately after countless months of not being able to access the extra maps I paid for, I’m disappointed. Im here writing this review because their recent update said they had fixed this issue, yet when I try to restore my purchases the app crashes. I’ve tried restoring it numerous and every time it crashes. This problem has been literally going on for months but they’d rather put their energy into changing the ui to something worse than it was before instead of fixing actual issues. I just added everything up and i figured out that I’ve spent $14 in JUST in game purchases and for the last few months I have not been able to access them. I’ve been playing this game for a long time. Years. That’s how much replay it has if you actually enjoy skating. You can play with your thumb or two fingers changing the dynamics. Although there are some things that bother me like not being able to go in between rails n such the game is wonderful. Although It seems like every new map is getting worse There are a lot of great early maps to choose from if you wanna fork out a dollar. It’s a dollar. Don’t trip. Oh yea recently the board won’t keep my custom graphics. It’s annoying. Please fix. Honestly if you like skating just get it it’s super fun and has infinite replay ability. I’d like to see more customization option for your board. Thing like bearings and trucks, currently it’s just deck and grip images and wheel color. Also when choosing a deck or grip pic, you need to be able to move the picture around. Also when in the menu the upper left back arrow and the bottom left back button do the same thing, I think the bottom button should always be refund to game. Also please introduce more maps with bowls, none of the SLS courses have any and none of the original courses are full bowl parks. I’d like to see a park that’s all bowl with big drop ins and a variety of bowls and grinds. Otherwise the first game I ever downloaded and the only game I’ve never deleted, really love it and thanks for adding grabs. Graphics are great and gameplay is clever, but controls don’t work very well and some things are too sensitive. For example, it’s impossible to simply Ollie onto an ode to because a simple Ollie will send you jumping like 20 feet forward completely over the obstacle. Other things are not sensitive enough, for example, grinding is impossible because the game does not cling your board to rails, it’s as if you’re just riding over rails and you slide right off every time. This game could be very cool, but it needs a lot of work. Focus more on gameplay and less on making more parks for us to buy. I got this game along time ago. Me and a couple friends recently just got back into it. I spent a lot of time on here saving up for 10,000 TC to change my boards graphic. Once I got 10,000 I used it and put a graphic on my board. It let me use that board while I was on it but when I closed it out, the next time I got on my graphic was gone. The wheels that I bought stayed but I couldn’t get back my graphic. It also did not refund my purchase. Otherwise very fun game that a would recommend. This is hands down the best mobile game I have ever played. I love the maps, and don't mind buying them because they are well worth it! So far I have bought 5, and haven't been disappointed with any of them! They have sales all the time as well, so that means discounts on maps! 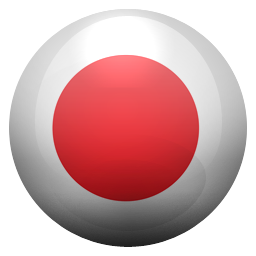 You can record/edit your gameplay and upload/share them with the True Skate Community which was a great feature! 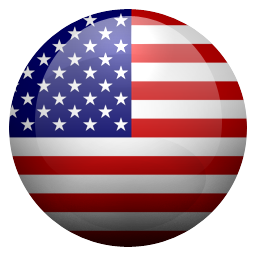 All around great and addicting game, 5 Stars! Good, but there is one thing. Hello! I am in love with true skate. I play it almost everyday and reached insane 1% scores like 31.4 SLS and a 2377 point trick, but there is one thing that makes me anxious. It’s the fact that the wear gets on a skateboard. For example: I but a photo for 10,000 credits and after just 30 minutes went by, the scratches were really starting to literally kill me. I just wanted them gone, but it costs 1,000 credits to do that, so yeah, we NEED to remove wear, it’s good for your credits and happiness. Okay developers? I like this game, I’ve had it on my phone for at least four or five years? I’m not entirely sure, but I’ve had it since there was only one park to choose from. I’ve spent money and bought new parks. Most frustratingly, I’ve spent tons of time on it, saved up my points and customized my decks. I get a few days of having that image on my deck, and then it’s suddenly gone. This has happened multiple times, and man it’s just so frustrating. Is this a ploy to get me to buy unlimited deck customization? No thanks. I would be giving this game a 5 star rating but I’m having an issue with the store, I made in app purchases for the unlimited customization, the wheel color pack, and I bought some skate parks. Now my issue is, I deleted the game, and re downloaded it and now I can’t use my purchases, I’ve tried restoring my purchases, I’ve tried re purchasing them, noting works. But other than that, the game overall is very fun! I purchased the old school board and unlimited grip/deck changes. The only problem is when I customize the old school boards’ grip and deck, I can no longer go to the “Me” part of the menu. I can use the store and everything else but every time I go to change my from the old school board, my game crashes. I restarted my phone, and even redownloaded the app but I still run into the same issue. Help please. This is probably the best skating game I’ve ever played and the graphics are good. One thing I’m concerned about is when I try to apply a custom image it doesn’t put the picture on the board ( it only does that with recent pictures.) I don’t know if something is wrong with my phone or it is just the game. But this is still an amazing game and it is really fun to play. The game overall is amazing I've been playing it for about 4 years or so here and there. But I just recently updated it and my 45,000 true credits totally disappeared and I was kinda salty about that. Considering I've been working for those for about 5 months and now they're gone. They are the only thing that actually shows skill because you can't use slow mo for that or glitch them out in most cases. Just bummed out.